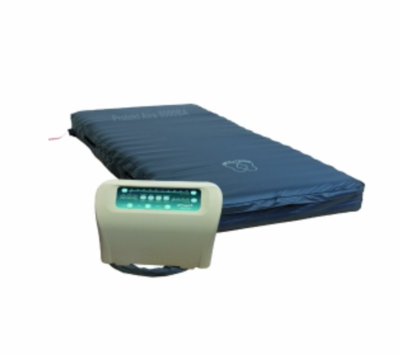 Home>Alternating Pressure Mattresses>Bariatric and Queen Size Alternating Pressure Mattresses >Bariatric Alternating Pressure Mattress 42"
The 8000 Bariatric Alternating Pressure Mattress System is is one of the the highest rated systems by wound care nurses and caretakers to treat and prevent bariatric patients from pressure ulcers. 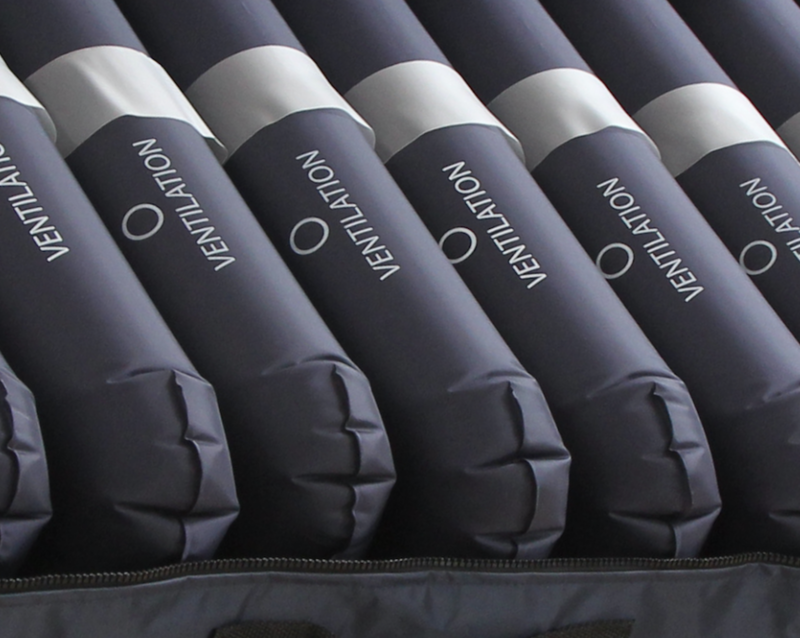 The 42" width mattress provides extra space for movement compared to standard size hospital air mattresses. This mattress incorporates alternating pressure therapy and low air loss functions. The whisper quite pump generates 15 liters of air per minute, 50% more than standard compressor based alternating pressure mattresses. The digital pump has a 10 zone comfort control that is adjustable by the patients weight making it easy for caretakers to adjust. The adjustable cycle time can be changed from 10,15,20,25 minute cycles for pain management and to promote additional blood flow to the patients skin. The Low air loss function controls and manages moisture to prevent skin maceration. Audible and visual alarms are built into the pump to alert caretakers in the event of a low of pressure or power failure. The mattresses cell in cell design prevents the patient from bottoming out in the event of a power outage.